TimeTrak is a robust job and team management solution which allows your service coordinators and leaders to manage the days of people in their teams more efficiently. 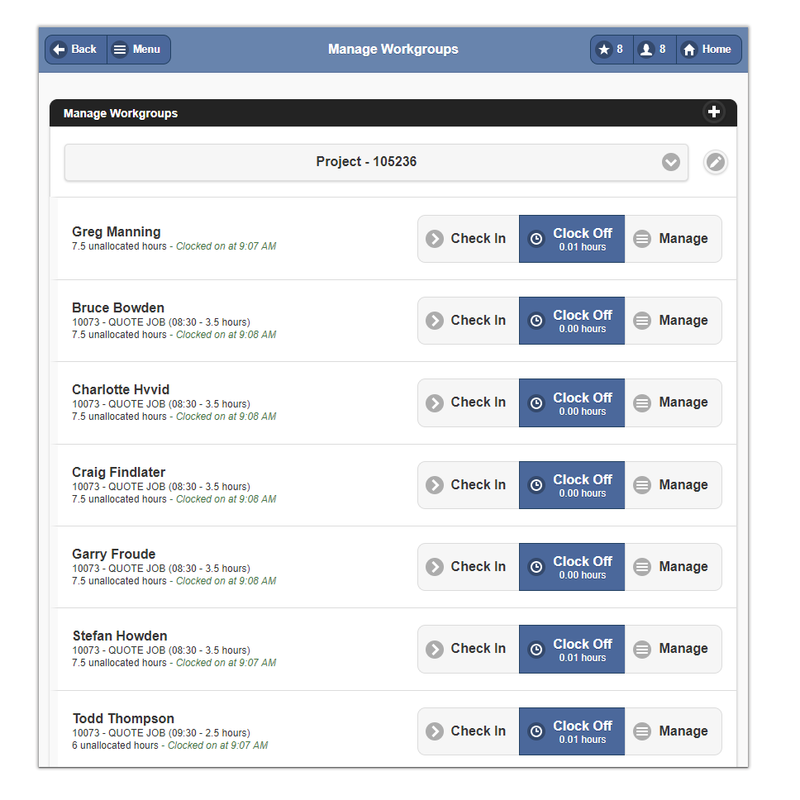 Workgroups are customisable groups of TimeTrak users from which a Service Coordinator or Team Leader are able to bulk manage time, materials or assets. You can create any number of workgroups in TimeTrak, and are able to monitor a group's whereabouts, work in progress, timesheets, calendars, etc. When the leader creates a time entry, they are notified that the same time entry can be created for the other users in their allocated workgroup. If the user clicks 'Save & Add Time Entry for Other Users', they can add additional users to the time entry or remove users in the workgroup from the time entry. Other user's calendars can also be viewed in TimeTrak Mobile via 'Manage Work Groups'. 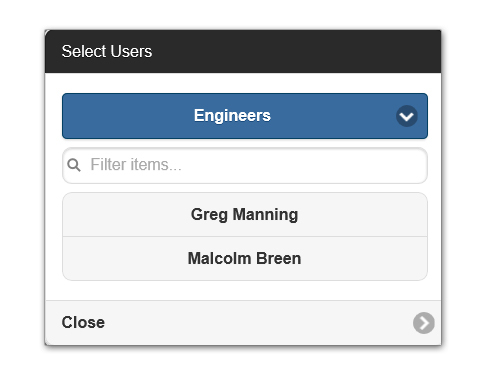 If you have a different person in your team for a day, you can simply remove the person not working in your group, and add another user. Simple as that. Workgroups allow team leaders to view other user’s calendars and possibly be responsible for ensuring their team has completed time correctly. Service Coordinators are able to group their user calendars to show firstly workgroups, then individual users beneath so that they have full visibility of teams and individuals. This feature allows TimeTrak Mobile users to enter time for themselves as well as other users quickly and efficiently. TimeTrak allows a team leader to enter time for field staff in their workgroup. This means more time spent working on the job at hand, less time for your administrators chasing up staff for their timesheets, and more time to get on with more important tasks. Workgroups allow your team leaders or service coordinators to enter time and materials to a job that any TimeTrak user has completed, such as contractors or sub-contractors, seasonal workers, plus more. Read more about Field Service Management. The Service Coordinator can check the arrivals and work of the onsite mobile team from the office. Mapping in TimeTrak Professional is greatly enhanced with drill in options, booking by location, and building queues. Using TimeTrak’s powerful calendar and GPS tracking you can route your nearest technician or workgroup to a job. Find out more about Geo Scheduling in TimeTrak.